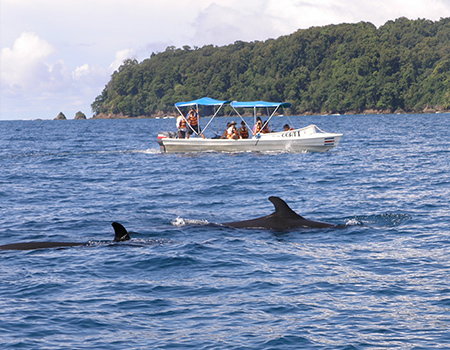 Upon leaving the hotel dock in your quest to encounter humpback or pilot whales you might spot one of the five species of dolphins. 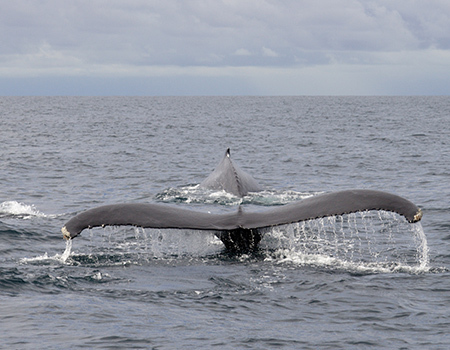 Humpbacks come here to give birth and raise their calf until it is strong enough to make it back home to either north or southern hemisphere. If you haven’t seen a whale and its calf, it’s a sight to be seen. 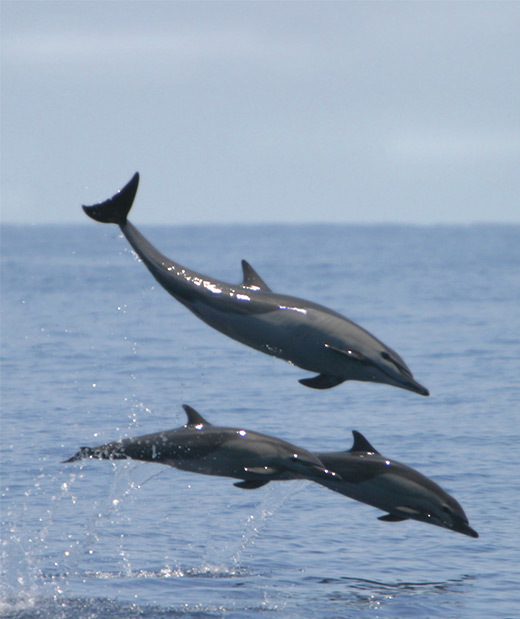 While searching for humpbacks you might get lucky and run into various pods of dolphins, they love riding the wake of the boat and might give you a memorable show flipping and jumping out of the water. It’s just another demonstration nature showing its beauty. Time: Your choice; best to leave early, no later than 2:00PM. Includes: Cold beverages, homemade cookies and fresh fruit are served on board. Even with the boats hard fiberglass top and canvas awnings, we highly recommend you bring sunglasses, sunblock, a hat, long-sleeved shirt as the sun is intense.